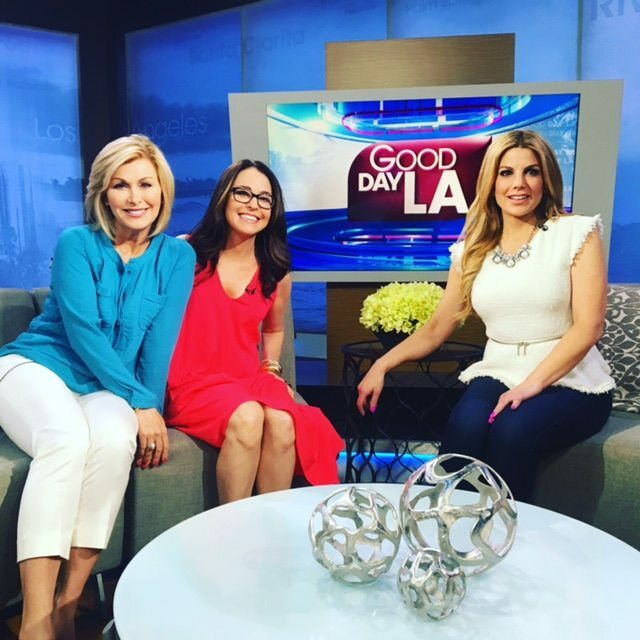 It was such fun to talk family travel on Good Day Los Angeles this morning. The topic? Out- of -the- box summer vacation ideas. Of course beach vacations are fun. Mountains too. But I offered a few with a little more wow factor. “Glamping,” or, glamorous camping, has spiked in popularity over the last decade. Under Canvas (close to Yellowstone, Zion, Grand Canyon, Moab, Glacier) is about airy wood and canvas tents that feel like a boutique hotel: king sized beds, plush linens, animal hide rugs, leather chairs, a wood-burning potbelly stove and even daily maid service. For families, the basic tent with adjacent tipi is an ideal set up. Parents get the fluffy bed, kids get to sleep in the tipi. The shared bathhouse (an adventure for kids) is modern with hot running water, showers and ceramic sinks. At dusk, staff sparks up the fire pit, a communal hub. There are nightly activities like volleyball,horse shoes, live music and astronomer-led stargazing. Depending upon tent type, rates range from $175-$425 per night. Rates are based on double occupancy per tent. There is a $25 surcharge per night when adding more than two people to any tent. An all-inclusive dude ranch is a slam dunk for families. Kids can live out their cowboy or cowgirl fantasies. Parents can avoid being wrangled for every nickel and dime. The Big Easy’s wild brew of culture- rainbow-colored Creole houses of the French Quarter, buskers of Jackson Square, impromptu trumpet blasts and parades-are catnip to kids. Don’t miss taking a mule-drawn carriage ride through the historic Garden District, taking a jazz cruise on Steamboat Natchez , doing a bayou swamp tour and experiencing Rock and Bowl, an old school bowling alley with a nightly lineup of zydeco, blues and “swamp pop. Sure, Aspen is glitzy. But there is a way to hike the storied 14,000 foot mountains without breaking the bank. Book one of the bare bones 10th Mountain Division huts (equipped with firewood, kitchen, platform beds with mattresses and pillows outhouse, propane burners) that pepper the remote back woods for $45 a night per person. Need to bring sleeping bag/pillow case, water and food. Family hut trip details: You can rent at http://www.huts.org/Reservations/make_reservations.php or call 970-925-5775. **If you want a guided hut experience, both Aspen Alpine Guides (www.aspenalpine.com) and Aspen Expeditions (www.aspenexpeditions.com) have permits to provide guided hut trips. Castle hotels hold Hogwarts allure for Americans. The notion of resting one’s head where nobles slumbered is part of the attraction. The other is old world ”leisure pursuits” like falconry and archery. Try and use points and miles from loyalty programs and credit cards. Even if you haven’t planned a year in advance, you can often find tickets. Taking an unpopular route improves chances for an awards seat. And, people do cancel. Budget Icelandic airline WOW allows travelers to fly to Reykavik and continue to Europe without paying for the stopover. If your family is not seated together or in a last row, try setting Seat Alerts on ExpertFlyer.com, a website that keeps real-time tabs on airline seating maps. Seats fluctuate frequently. Someone else’s maneuver could improve your situation.